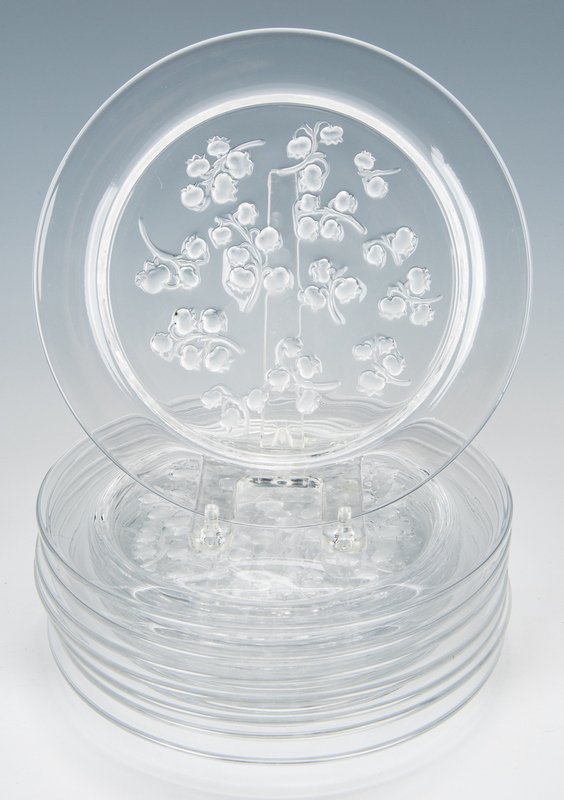 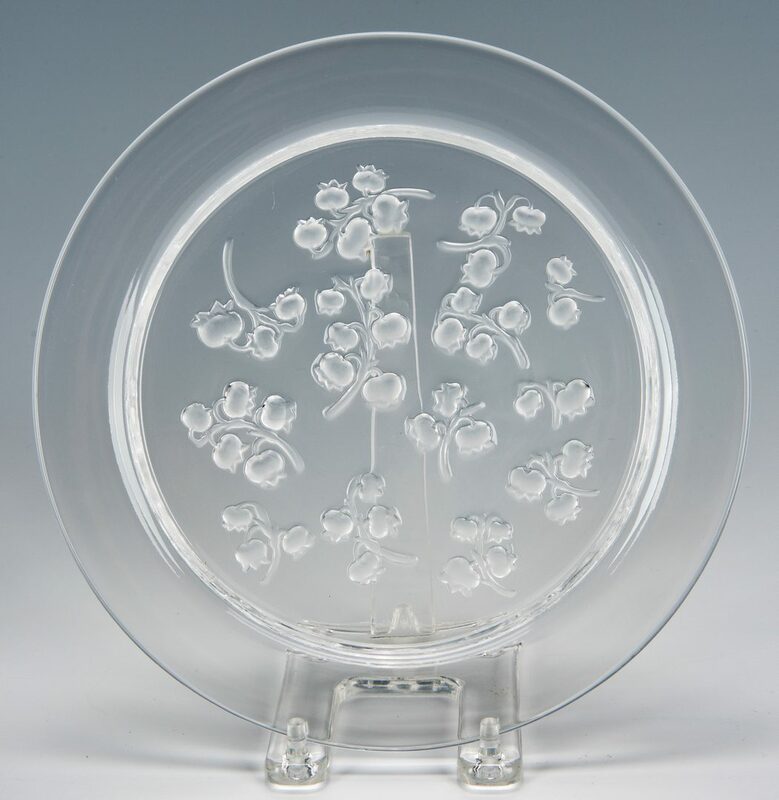 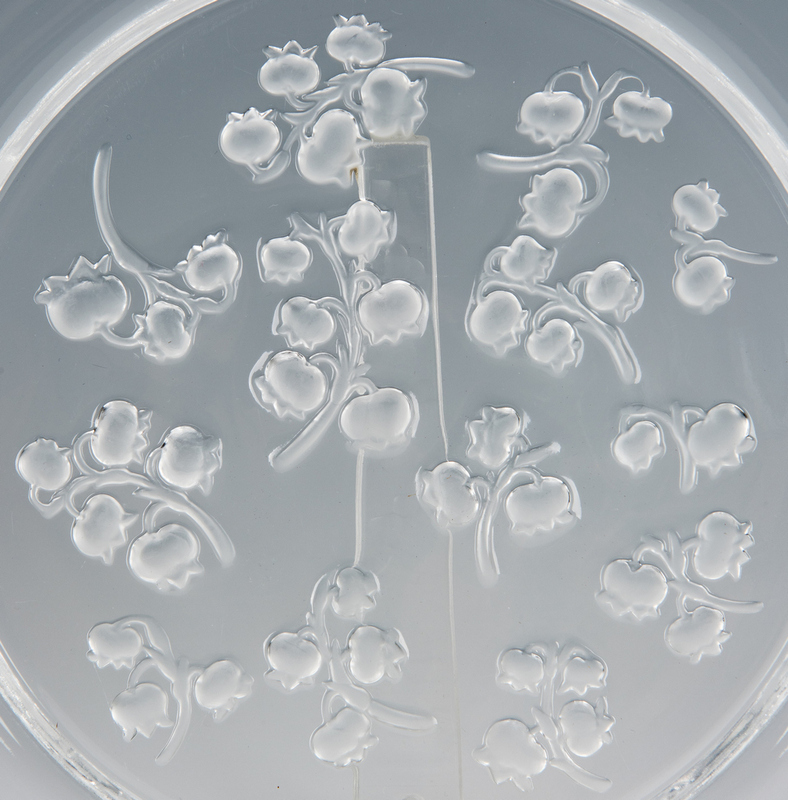 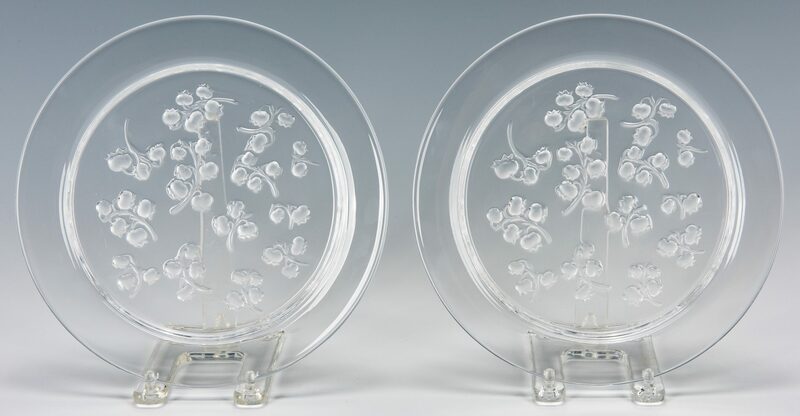 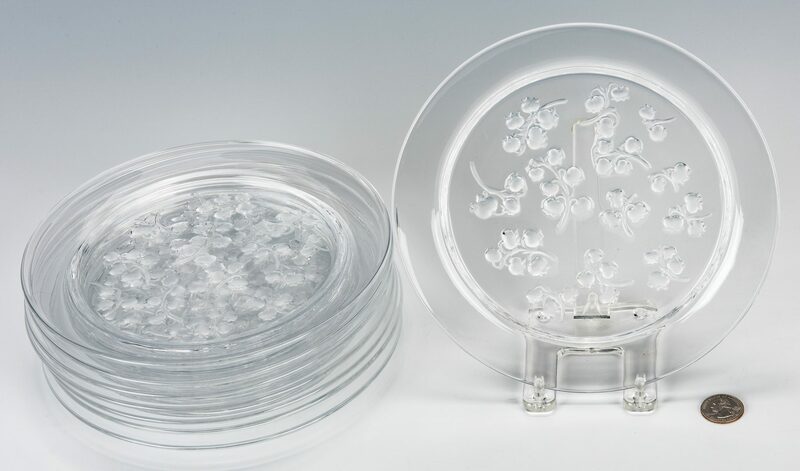 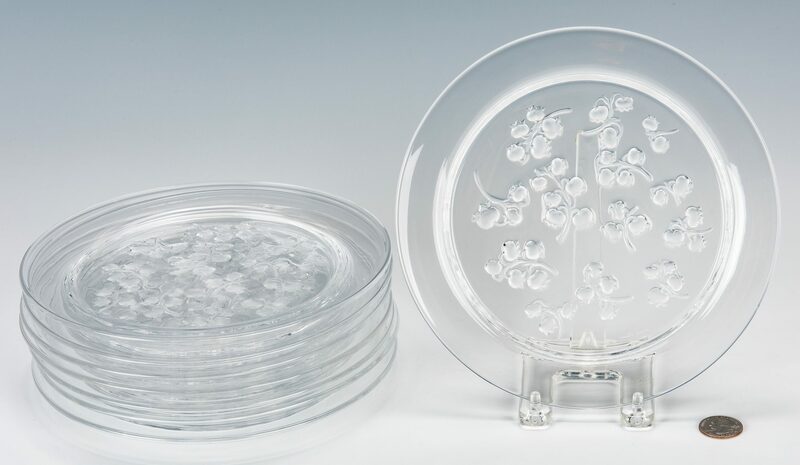 Set of eight (8) Lalique molded and frosted glass dessert plates, Muguet pattern. 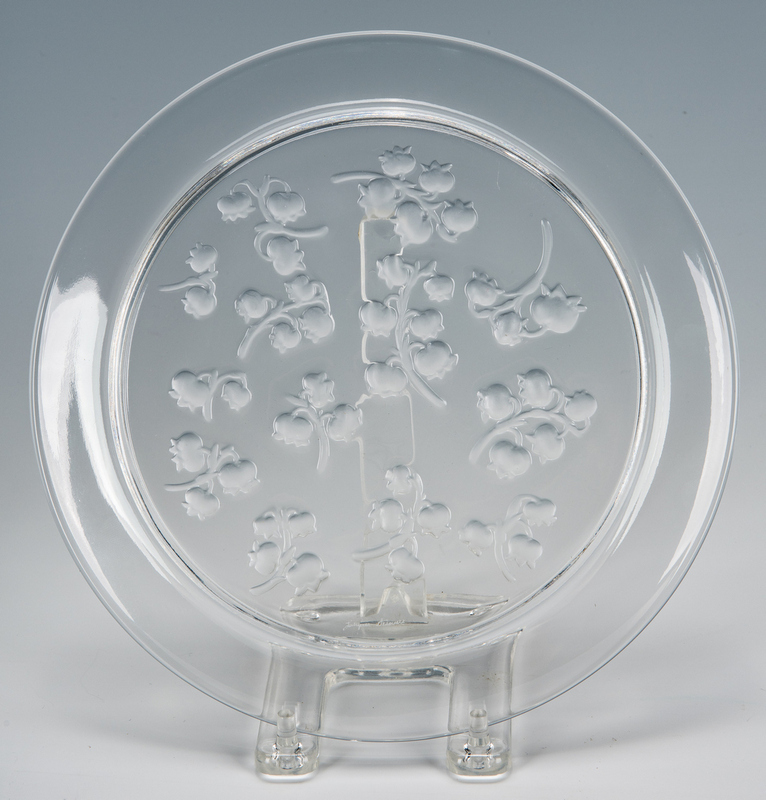 All with etched mark "Lalique/France" to the undersides. 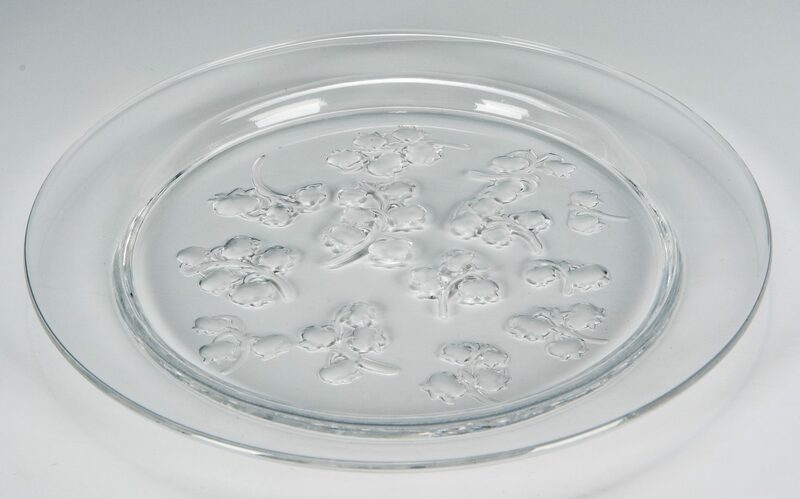 8 1/4" dia. 20th century. 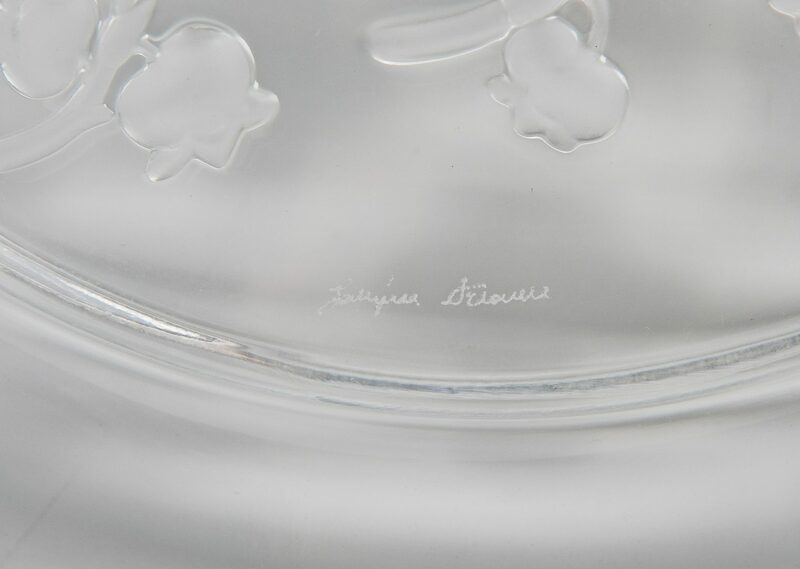 Provenance: Estate of Martha Lyman, Dayton, TN. CONDITION: All very good condition. No cracks or chips, very light wear.